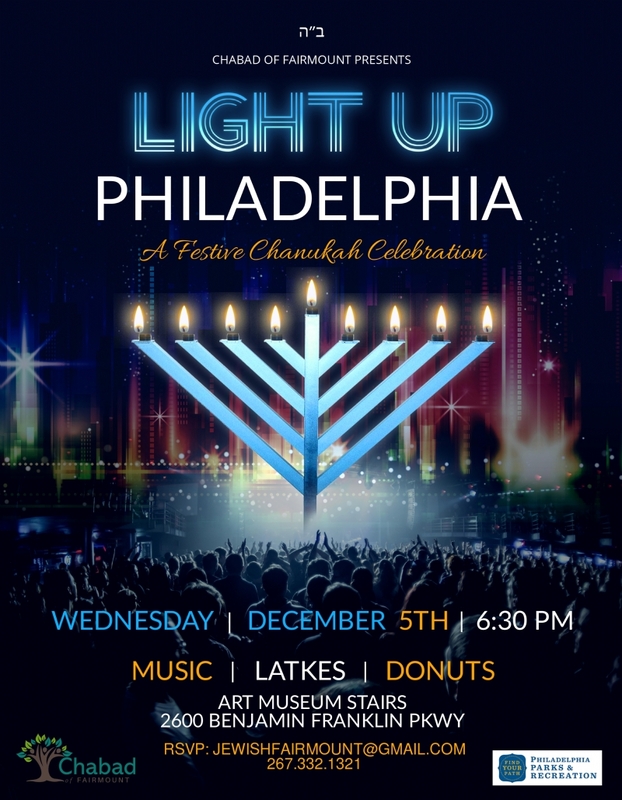 Spread the light of Chanukah and join together with the Jewish community of the Art Museum Area for a public menorah lighting! A special Chanukah Lunch will be served. Chanukah Kit is $4 and includes a tin Menorah and colorful wax candles.